If you haven’t yet discovered the significant improvements that an epsom salt bath once or twice a week can confer to your health, my hope is that this article on its benefits will convince you to start the practice of detoxification bathing right away! The simplicity of bathing in epsom salts and warm water is a cleansing ritual that has the potential to both improve your body’s elimination pathways and help resolve two very serious nutritional deficiencies at the same time. For this reason alone, if you are going to choose a single holistic bathing therapy to incorporate into your weekly routine, a relaxing soak or two in an epsom salt bath is definitely IT! The active ingredient in epsom salt is magnesium sulfate, a compound comprised of two minerals critical to human health: magnesium and sulfur. Despite the important role these minerals play in human physiology, the vast majority of people are deficient in both sulfur and magnesium, many seriously so. What’s more, they are readily absorbed via the skin with numerous health authorities suggesting the process is more efficient transdermally – via the skin – than orally. As a result, an epsom salt bath can be considered a superior way to nourish the body particularly when consuming food based sources or supplements containing these nutrients doesn’t seem to be doing the trick due to digestive imbalances. The human body requires sufficient magnesium for every single biological function to be performed effectively. This is true also for proper detoxification to occur. According to Natasha Campbell-McBride MD, author of the best selling GAPS Diet book, a minimum of twenty-eight molecules of magnesium is necessary to metabolize a single molecule of glucose. In addition, phosphate ingested via phosphoric acid and similar substances deliberately added to soda, hot dogs, and other processed foods to sharpen flavor, render bio-available magnesium difficult to metabolize as the phosphorus binds it up into the compound magnesium phosphate. Thus, those consuming a modern high sugar, high processed foods diet are particularly prone to the devastating effects of magnesium deficiency which most typically manifests as symptoms of sleeplessness, tics, muscle spasms, leg cramping, seizures, anxiety, and/or irregular heart rhythms. "Magnesium is utilized by the body for all sorts of detoxification pathways and is necessary for the neutralization of toxins, overly acidic conditions that arise in the body, and for protection from heavy metals. It plays a vital role in protecting us from the onslaught of man-made chemicals all around us. Glutathione, an antioxidant normally produced by the body and a detoxifier of mercury, lead and arsenic among others, requires magnesium for its synthesis." Mark Sircus, author of Transdermal Magnesium Therapy, warns that a deficiency of magnesium will increase free radical generation in the body. This biological state triggers loss of glutathione, the mother of all antioxidants, which is produced by the liver. This is a devastating effect because glutathione is essential to protect the body from the damaging exposures present all around us in modern life including the cocktail of toxins found in processed foods, personal care products, carpeting, mattresses, furniture and the like. Even playing a single round of golf on a recently sprayed course is a seriously toxic experience. Like magnesium, the mineral sulfur, also present in epsom salts, assists the body’s detoxification pathways. According to Lawrence Wilson MD, organic sulfur is necessary for the liver’s detoxification mechanisms to function properly to bind and excrete toxic metals, such as mercury, lead, and arsenic. In addition, sulfur improves the pliability of cell membranes which improves overall oxygen transport in and out of the cell. This in turn makes for more efficient transport of waste products out of the cell, hence improving overall detoxification. Sulfur is critical to many of the body’s biological processes most especially metabolism. Many people are surprised to learn that sulfur is the 8th most common element in the human body by mass, exceeding even sodium! Without adequate sulfur, glucose metabolism becomes defective and muscle and fat cells are damaged as the result of becoming glucose intolerant. Consequently, sulfur deficiency can easily lead to a variety of painful, inflammatory conditions of the connective tissues. Impaired glucose metabolism from insufficient sulfur is an implicating factor in obesity and the dangerous condition known as Metabolic Syndrome. This is because one way the body compensates for defective glucose metabolism is by gaining weight. When sulfur deficiency occurs within the context of a lowfat diet (the typical scenario for Western nations), the problem becomes more serious. Sources of glucose present in a lowfat diet in the form of refined carboydrates are directly converted to fat. Worse, the fat is then released into the bloodstream as triglycerides as an attempt by the body to fuel the damaged and inflamed muscle cells. Poor sulfur status affects the brain as well. Analysis of the minerals present in the cells of the typical Alzheimer’s patient reveals that sulfur is almost nonexistent compared with a normal profile. Some research has indicated that reversing a sulfur deficiency state can prevent or halt the progression of dementia and possibly even reverse it provided the patient is still in the early stages where little brain damage has occurred. Consequently, sufficient sulfur intake is absolutely critical to avoid problems with chronic pain, metabolism, excess weight, and possibly preventing and slowing the progression of Alzheimer’s disease. The best food based sources of sulfur are eggs, garlic, cabbage, and onions. Unfortunately, unless these foods are produced in an environment that contains sulfur rich soil, the amounts of this nutrient are likely not adequate. It is perhaps not so coincidental that Iceland’s remarkably low rates of depression, obesity, diabetes, and heart disease may be attributed to the line of volcanoes that formed the island nation and whose eruptions periodically blanket the soil with sulfur containing volcanic rock. The rapid and devastating depletion of our soils since The Green Revolution following World War II with the advent of monocropping, pesticides, and chemical fertilizers has caused a corresponding decline in sulfur in the modern diet. Hence, the need for a regular soak in sulfur rich waters as practiced by cultures for centuries. Barring expensive spa adventures to natural sulfur springs, a regular soak in epsom salts is today less of a luxury than a necessity for long term health. 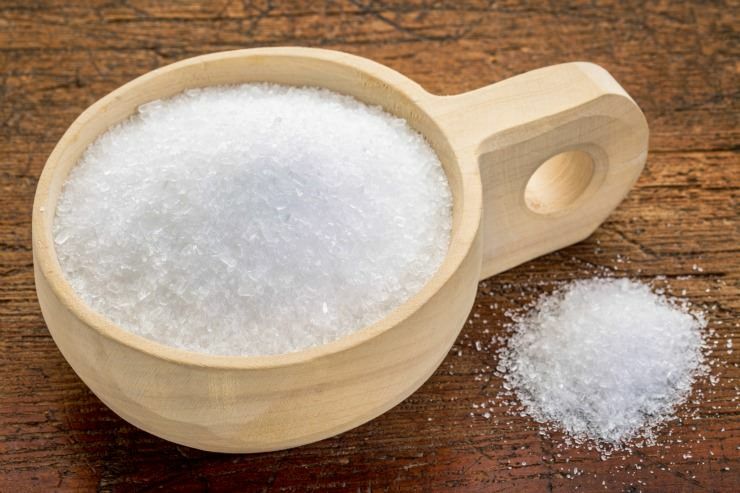 The Epsom Salt Council provides perhaps the best research to date on how a simple soak in epsom salt can increase the levels of both magnesium and sulfate in the body (1). Nineteen (19) volunteers were recruited for the study by the University of Birmingham’s School of Biosciences in the UK. All were in good health and not currently taking any medication. Both blood and urine were analyzed for increases in magnesium and sulfur levels following epsom salt bathing. The blood samples were taken before the volunteers’ first bath, again at 2 hours after the first bath and finally at 2 hours after the 7th consecutive bath. Baths were taken daily at the same time for one full week. Urine samples were collected before the first bath and then 2 hours after the first bath and after all subsequent baths. Urine samples were also taken 24 hours after the last bath. The research was very conclusive as all study participants experienced a significant rise in blood plasma magnesium and sulfate at a bath solution of 1% epsom salts. This equates to 600g Epsom salts/60 litres for the standard size UK tub, or 2.5 cups epsom salts for a 15 gallon standard tub made in the USA. Wait … Aren’t Magnesium Flakes Better than Epsom Salts? Magnesium chloride is the form of magnesium naturally found in sea water. It is a magnesium mineral salt with extremely high solubility properties. Some sources claim that flakes of magnesium chloride, aka magnesium bath flakes, used for bathing purposes are superior to epsom salts with regard to the bio-availability of the magnesium. However, the research I found suggests that while highly effective as a form of transdermal magnesium, magnesium chloride is no more effective than the magnesium sulfate present in epsom salts (2). As a result, for bathing purposes, epsom salt is the winner according to my research, as an epsom salt bath is significantly less expensive than soaking with magnesium flakes. According to my calculations, it costs approximately $1-$1.50/bath using epsom salt which requires 2.5 cups per bath. This compares with $3-$9 for a soak using magnesium flakes which requires 1-3 cups per bath. In addition, epsom salts bathing offers the detoxifying and nourishing effects of sulfur as a bonus. Therefore, if you are in need an effective transdermal magnesium source, it would be a good idea to use a magnesium spray or lotion instead (I like this one) and reserve the epsom salts for bathing purposes. How Often to Take an Epsom Salt Bath? While you could conceivably take an epsom salt bath every single day, this is probably not realistic or practical. If you make bath bombs using epsom salts, it certainly makes the experience more fun! Physiotherapists recommend to to take two epsom salt baths per week and sit for about 15 minutes minimum. They are not just for injured athletes or weekend warriors (an epsom salt soak reduces inflammation and bruising), but also for people who are completely healthy with no physical issues of note. It is best to use a warm water temperature that you can enjoy and sit in for the full quarter hour without any discomfort. The suggested temperature range is 101-103 °F/ 38-39 °C, as this optimally opens the pores for maximum transdermal absorption of the organic magnesium and sulfur. When you are finished with your epsom salt bath, simply get out of the tub and dry off. Do not rinse yourself and most especially do not suds up afterward as this will prevent any additional absorption of the magnesium and sulfur that can occur as the epsom salt bathwater dries and remains on the skin. Possibly the best news of all besides the fact that you can relax and get healthier at the same time with an epsom salt bath is that this holistic therapy is dirt cheap! You can purchase bags of epsom salt at COSTCO, the supermarket or drug store for $2.99 for a 4 pound bag. My family gets a full 3 baths out of each bag, which roughly equates to only $1 per bath! I personally haven’t found a natural remedy that both detoxifies and nourishes that is less expensive or more relaxing. And, because an epsom salt bath is so enjoyable, this is a simple health routine that you can adopt without any concern that you won’t continue it because it is too expensive or because you cringe every time you think about doing it. Instead, you will likely think to yourself, “Yay! It’s time for my epsom salt soak!” Now that is a holistic therapy that will stick for life. Most of this article has discussed the use of epsom salt bath for detoxifying and nourishing the body. It is important to note that it can also be used to speed healing of the body after injury. For example, when my children suffered a pulled quad from swim practice, dissolving 2 cups of epsom salts into a gallon of warm water in a bath is very helpful for quick healing and reduction of swelling and bruising. Soak the affected area for 30 minutes up to 3 times a day. The epsom salts solution can also be applied to the injury using bandages or towels if soaking isn’t feasible for whatever reason. People suffering from plantar fascitis, gout and other painful ailments of the foot can benefit similarly with a simple soak in epsom salts. Even soreness from exercise is relieved by a full body soak in an epsom salt bath. Optional* Add in 4 drops of of a therapeutic grade essential oil-grapefruit is great for detoxification and lavender great for healing and relaxation-the two combined are glorious. Soak for a minimum of 15 minutes. Don't not suds or lather up after bath. Towel off as usual and let the salts dry and penetrate the skin. Relax and enjoy a peaceful nights sleep. If you are feeling run down or a cold coming on, add in 1/2 cup of baking soda to the bath and soak as usual. Looking to incorporate and infuse healthier micro habits into your life to upgrade your health and body-contact me for your free A-HA session today!